A day in Cardiff. 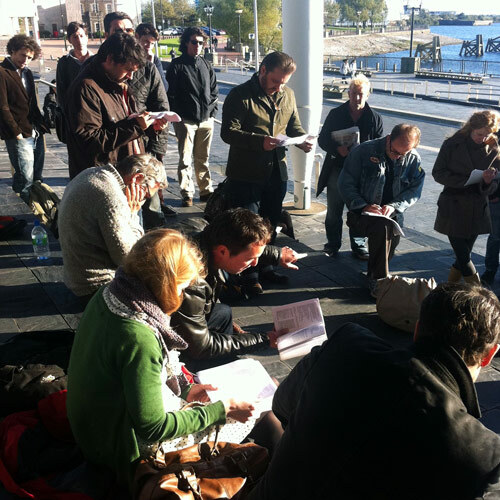 Mike Pearson and I met a cast of fourteen actors, with colleagues from the Royal Shakespeare Company and National Theatre Wales, for an open cold reading of the full unedited text of Coriolanus, amongst an informal gathering within the public space of the Senedd in Caridff Bay. Culminating, as the building closed its doors for the day, out in the last of the afternoon sun, on the building’s steps. My sincerest thanks to everyone involved. Being able to meet the text, animated so directly, in public space, was even more useful than I had hoped. 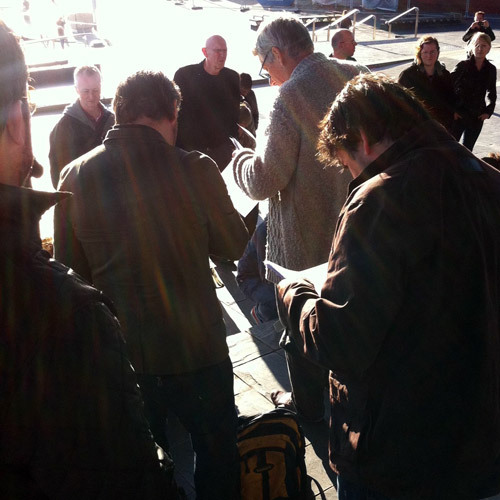 The generous readers were: Simon Armstrong, Patrick Brennan, Alex Clatworthy, Tomos Eames, Richard Elis, Roger Evans, Bradley Freegard, Nia Gwynne, Derek Hutchinson, Daniel Llewelyn-Williams, Richard Lynch, Nichola McAuliffe, Steffan Rhodri and David Sibley.